Coin holder – the original Quikoin, made from soft vinyl and oval in shape. Available in 20 product color options. Spot color screen print that is guaranteed permanent. 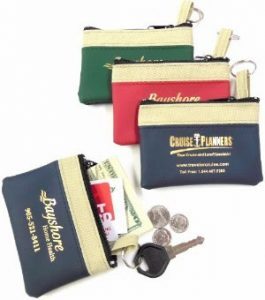 These handy coin holders have durable high gloss finish. Generate lots of impressions for logo as it will be seen time and again with daily use. Made in the USA, always in stock. 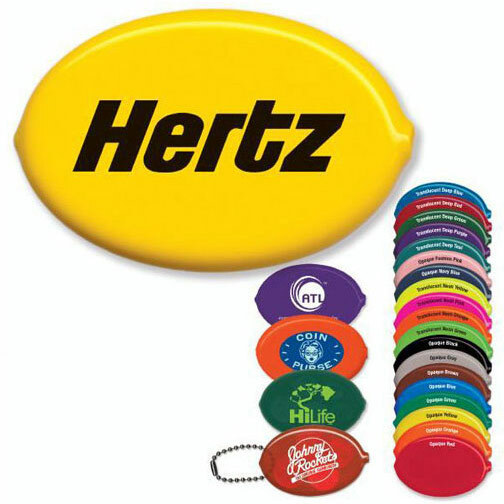 Low cost, quality advertising which can be handed out or easily mailed. These can trigger baby boomers memories of this item, will appeal to youth and has retro appeal as well. This is the original manufacturer of this item. One side imprint 250 88 cents ea, 500 78 cents ea, 1000 73 cents ea, 2500 64 cents ea. Second side imprint 11 cents ea. Item #2000. Also avail in round shape #2000R.